You didn’t think we’d go “Back to School” and not throw a house party, did you? On Thursday, 9/17 we’re throwing a College Disorientation house party at Venu, complete with Solo cups, beer bongs, magnums of champagne; oh, and Ja Rule. 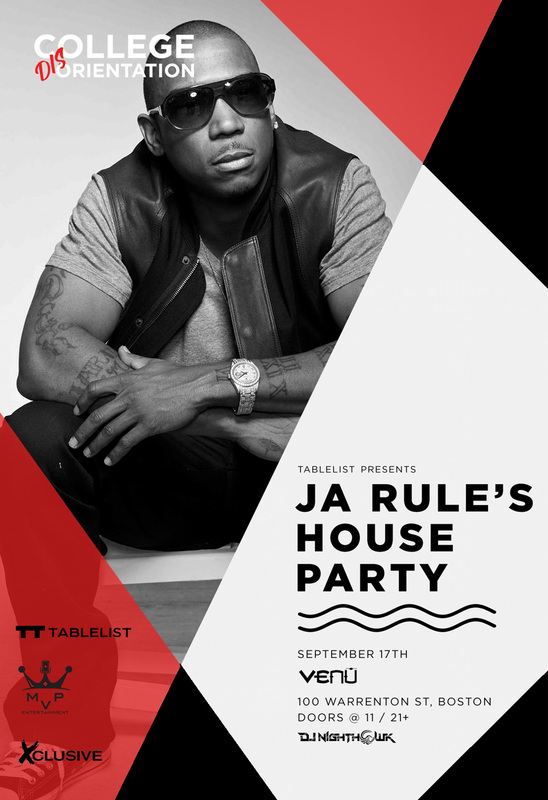 That’s right: our friends at Venu are letting us turn the club into a Tablelist-style house party on 9/17 – only instead of some standard-issue Spotify playlist and an 11:30 visit from the cops, Ja Rule is performing and the neighbors definitely aren’t calling in a noise complaint (we hope). This is a Tablelist exclusive, so if you’re reading this you have first choice on the best table packages. Start the semester like a real hero, but get in there quick because they aren’t going to last. We have tickets available if you don’t want a table package, too. Check it all out here, and get ready for one of the most ridiculous house parties of your life.